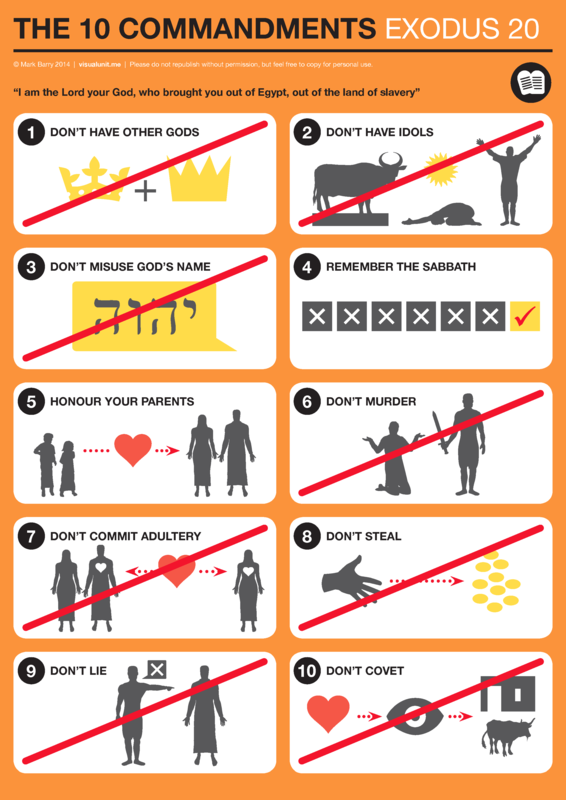 The Ten Commandments from Exodus 20:1-17 (pictured as an airline safety card). PDF version (197 KB). Printer-friendly PDF version. This entry was posted in English and tagged Exodus, Old Testament. Bookmark the permalink. Hello. Thank you for this. Would you consider modifying this so that it can be ‘black ink only’ friendly for printing? I’ll see what I can do, Jeff. Not a big deal if you don’t have time. Thanks. Would you consider making a “flash card version” of this by simply cutting out the numbers so that it can become a resource for putting them in order and then checking them? That’s a great idea, Daniel. Don’t hold your breath, but I’ll see what I can do.